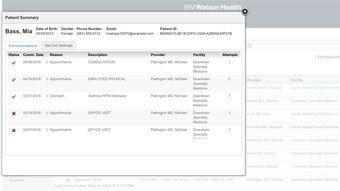 IBM® Phytel® Remind automates communications to proactively remind patients about upcoming appointments with their providers. 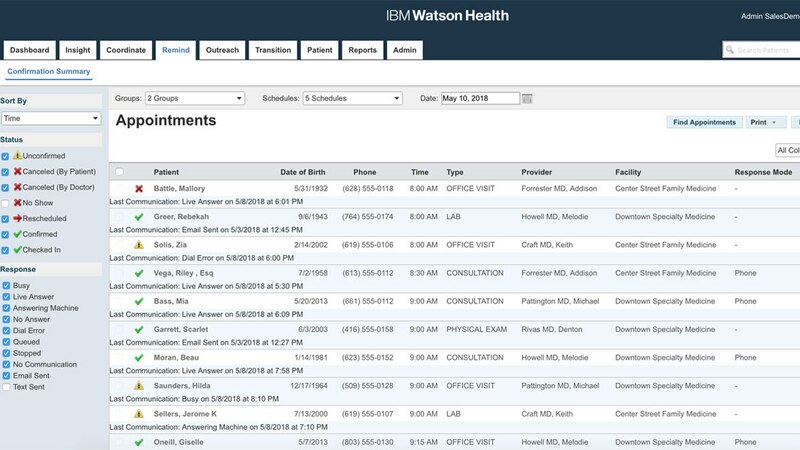 IBM® Phytel Remind proactively and efficiently automates the time-consuming process of manually calling, emailing, or texting patients about their upcoming appointments. This strengthens profitability, frees up valuable staff time, and contributes to better health outcomes. Minimize late arrivals and identify and fill vacancies. 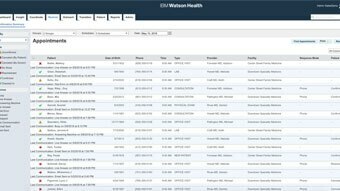 Help eliminate manual calls and reduce staff time needed for monitoring appointments. Promote patient adherence to recommended visit protocols and keep patients active in their own health care. Strengthen the patient-provider relationship, foster patient-centered healthcare, and facilitate positive patient visits.